Twitter didn’t like his response to a question about cultural appropriation. A rep for Justin Timberlake did not immediately return a request for comment. Timberlake replied, "Oh, you sweet soul. The more you realize that we are the same, the more we can have a conversation. Bye." His words immediately threw Twitter in uproar as people weren't pleased with the tone of his reply that many felt was dismissive of the specific focus on black lives and black culture in Williams' speech. 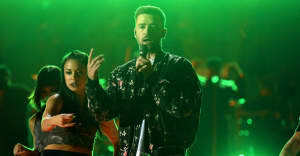 As critiques continued to roll in, Timberlake apologized for his statement. @jtimberlake you don't get it & you can't. But try to see from a lens that's not on defense. We are not the same until we are treated =. @jtimberlake @iJesseWilliams Such a privileged white misinterpretation. You're exactly who he was talking about. Huge part of the problem.